The Tax Cuts and Jobs Act (TCJA), passed by Congress in December 2017, made several significant changes to federal taxes, both for individuals and businesses. However, many changes are set to expire over the next eight years, including full expensing as well as nearly all the individual income tax changes. Now, CNBC is reporting that lawmakers are preparing legislation that would make both those provisions permanent. This is a positive development, as making these particular provisions permanent, sooner rather than later, will avoid uncertainty created by temporary status and increase their effectiveness in encouraging long-term growth. 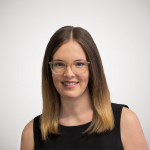 One provision potentially under consideration for permanence is full expensing, which is one of the most significant changes of the TCJA. Full expensing allows businesses to immediately deduct the full cost of most short-life business investments, such as machinery and equipment, though not longer-lived assets like structures. Generally, under prior law, when companies would make capital investments, such as machinery or equipment, they could not deduct that cost immediately. Instead, they had to deduct the cost over years, or even decades, using a set of depreciation schedules. This cost recovery treatment created a significant barrier to investment: its result was that businesses had to pay the full cost of an investment upfront without being able to fully deduct that cost in present-value terms—meaning the value of the deduction was less than the actual cost of the investment. Full expensing removes this bias for certain assets by allowing businesses to simply deduct the cost of those investments immediately, significantly lowering the cost of capital and encouraging businesses to invest and create jobs. The TCJA full expensing provision applies to most short-life investments; however, its temporary nature greatly limits its economic benefit. The provision is scheduled to begin phasing out after 2022. Temporary expensing creates an incentive for businesses to shift investments they would have made in the future to the present, which may accelerate early growth but then lead to a drop in later years. And, as the provision phases out, it will increase the cost of investing in the United States. Lawmakers would do well to make this provision permanent, as well as expand it to other types of investment like structures, well ahead of the scheduled phaseout. In doing so, they would provide certainty for businesses that are making investment decisions now, as well as avoid entrapment in a cycle of temporary reauthorizations that would reduce the effectiveness of full expensing. 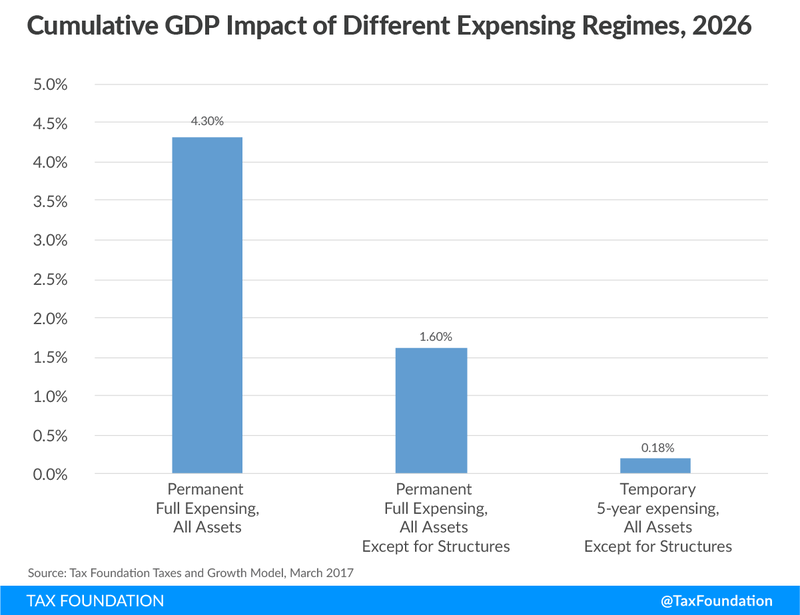 Full, permanent expensing is likely to grow the U.S. economy significantly, as our previous analysis has demonstrated. The legislation that lawmakers are currently drafting would also reportedly make the TCJA’s reduction in individual income taxes permanent. The individual tax cuts were the largest provision included in the tax bill, estimated to lower federal revenues by $1.16 trillion from 2018 to 2025. The TCJA lowered several rates and widened several brackets, with the result of reducing individual income taxes substantially for households across the income spectrum. However, should the provision expire at the end of 2025 as scheduled, many households would see their taxes go up significantly in 2026. If lawmakers successfully make these cuts permanent, they could avert that increase. Congress’s top priority on tax policy should be resolving the temporary status of the many tax provisions that are scheduled to expire or change over the next several years. Part of that process should include thinking more broadly about what the federal tax code should look like in the future and which portions of the TCJA ought to be improved. The legislation that lawmakers are reportedly writing would begin that process, and would make permanent two of the most significant and sizeable provisions included in the Tax Cuts and Jobs Act.